A Japanese hacker who hijacked computers in order to issue death threats, leading to the arrest of several innocent people, was jailed on Wednesday for his high-stakes games of cat and mouse with police. Yusuke Katayama, 32, used computers around the country to make a series of threats in 2012, including that he would kill multiple people at a comic book event, attack an airplane and target a kindergarten attended by the grandchildren of Emperor Akihito. 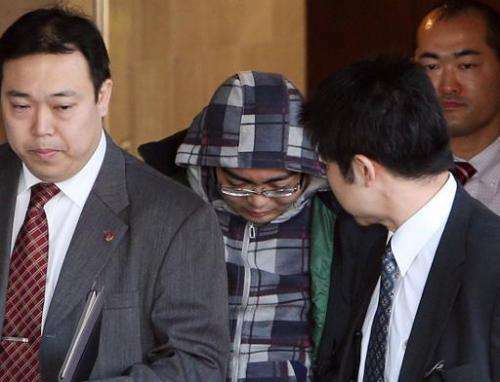 "He committed the crime, and the purpose of it was (for police) to make wrongful arrests," said presiding judge Katsunori Ohno at Tokyo District Court, adding that Katayama's actions had been "vicious". Katayama used a virus to gain control of strangers' computers through which he issued threats and a series of riddles that captured the attention of the national media. The case exposed the ineptitude of Japan's police force when it came to dealing with cyber crime and highlighted their tendency to force admissions of guilt from people they have arrested. The National Police Agency (NPA) had to apologise after it emerged that officers had extracted "confessions" from four people they arrested, even though they had nothing to do with the threats. Police held one of the suspects for several weeks before media and a cyber crime expert received anonymous messages containing information that investigators conceded could only have been known by the real culprit. The messages said that details of the computer virus had been strapped to a cat on an island near Tokyo. The police found the cat and tracked down Katayama, arresting him in February 2013. The NPA chief proffered a red-faced apology, acknowledging his force had been tricked by the hacker and promising his cyber-crime unit would brush up its skills.